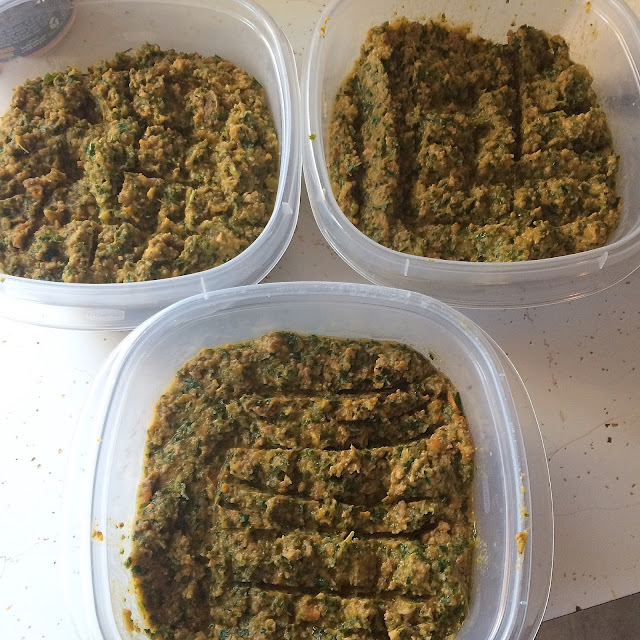 Half Past October: We Made Dog Food! 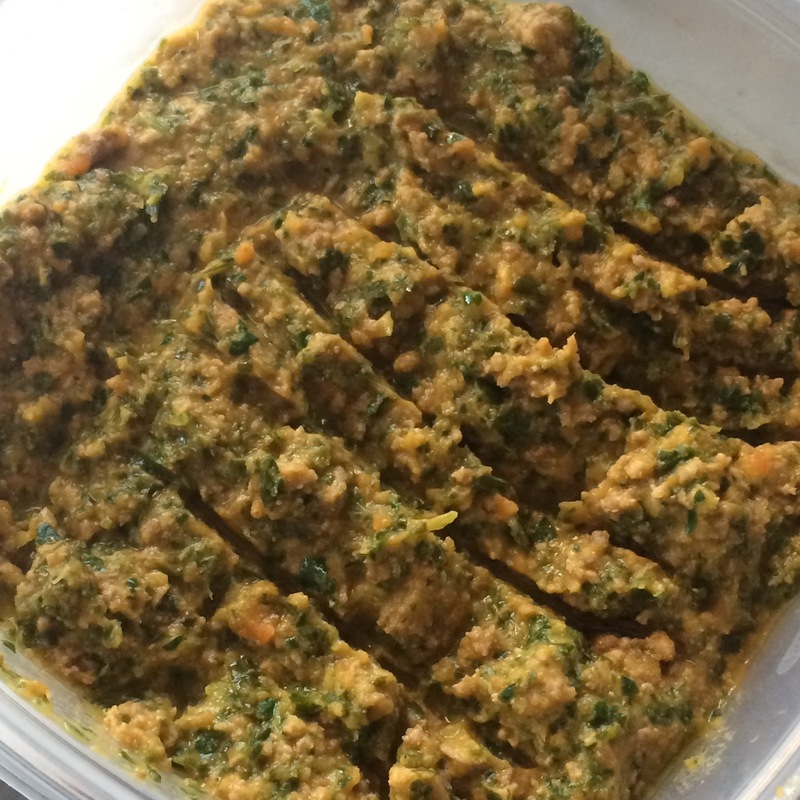 I had many people message me and ask what our recipe for dog food was, after I posted to Instagram and Facebook last weekend. I thought I'd start logging it all here on the blog in case anyone cares to reference it. Full disclosure: I am not a veterinarian. I have done a lot of research and feel fairly confident that the meals I prepare are close to balanced, but I also supplement Venus with vitamins, "treats" and by offering a variety of different ingredients each time I cook. I cubed and cooked the potatoes to remove a bit of starch and soften them. I drained them, rinsed them, and added them back to the pot where I added the kale (minus the stems), carrots, peaches, and parsley and stirred it up. I set it aside with no added heat while I cooked the meat. I added the ground turkey to a new pan, cut up the chicken liver and added that to the turkey. When all the meat was cooked thoroughly I added the veggie pan to a large bowl and blended it all together with an emersion blender - this isn't necessary if your dog isn't picky, but Venus likes soft mushy food so I blend it up to make sure she doesn't pick through it and leave anything behind. After the veggies were blended well I stirred in the meat. This most recent meal I made for her made about three quarts of food (just based off filing the three containers I used). I left one in the fridge, and put the other two in the freezer to thaw as we need them. Venus also gets 1 hip+joint supplement and 1 multivitamin daily. She gets one to two raw chicken paws daily to help clean her teeth. And she gets one whole egg (blended with the shell) scrambled and added to a morning meal twice a week for calcium. Anyone reading this info, please let me know in the comments if there's anything else you'd like to know so I can add it to my next dog food post!